Jamal Khashoggi, the writer who was allegedly assassinated by Saudi Arabian officials on Turkish soil. Middle Eastern politics of late have shaken the rest of the world. On the 2nd of October, journalist Jamal Khashoggi reportedly entered the Saudi Arabian consulate in Istanbul, Turkey, and never exited. Khashoggi, a Saudi national most recently living in Virginia on self-imposed exile, was a well-known critic of the Saudi regime. The Saudi monarchy, on the other hand, is infamous for receiving criticism increasingly poorly as the absolute monarchy has grown more and more dictatorial. As the assassination happened on Turkish grounds, the government has been spearheading the campaign against Saudi Arabia, from leading investigations to calling for world powers like the US for help. With Crown Prince Mohammad bin Salman’s (hereafter MBS) recent entrance onto the global leaders’ scene and historical clashes between Turkey and Saudi Arabia, this latest human rights violation has a drama-filled backstory to match. A team of fifteen Saudi officials landed in Turkey in privately-owned jets early morning the day that Jamal Khashoggi disappeared. At approximately 10 AM, a man named Maher Abdulaziz Mutreb was seen walking toward the Saudi consulate. He’s been previously spotted as part of MBS’s entourage. Additionally, Turkish officials working in the consulate that day were allegedly given the day off early in the workday. 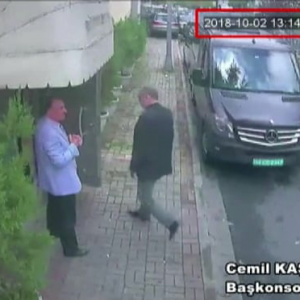 Meanwhile, Jamal Khashoggi arrived at the consulate around 1 PM. Because mobile phones are not allowed within consulate bounds, Khashoggi handed his to fiancee Hatice Cengiz and warned her that if he did not return within four hours, she should notify the Turkish government. He, however, did keep his Apple Watch on his person, which is now reportedly a prime piece of the investigation. Upon entering the consulate, Khashoggi was greeted by an official, and, as Turkish officials report, was dragged off to another room where he was tortured and subsequently assassinated. Khashoggi was reportedly dismembered, killed, and taken to the consul general’s house on Meselik Street, 200 meters away in a fleet of six cars with diplomatic license plates. Around 5 PM, the aforementioned man, Maher Abdulaziz Mutreb, was spotted at the consulate general’s house. On October 6th, the Turkish government began to question Saudi Arabia regarding the incident. Initially, the monarchy denied any relation to the entire incident. 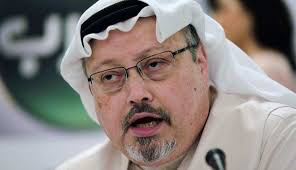 However, as more evidence surfaced that the assassination was directly connected to the Saudi government, the story swiftly morphed into MBS claiming that rogue agents, who were originally directed to conduct an investigation, had killed Khashoggi without his knowledge or direction. This narrative continues to be heavily questioned, especially because the Crown Prince has been inconsistent in his statements—most recently, the Saudi Arabian government has claimed that Khashoggi was accidentally killed in a fight. It is seeming increasingly more likely that the Saudi government ordered the assassination. It’s worthy of note, however, that most of the early reporting around Khashoggi’s disappearance stems from Sabah, a Turkish newspaper that is extremely pro-Turkish government. This newspaper was seized by Turkish president Erdogan in 2007, and the CEO, Berat Albayrak, is the president’s son-in-law. Additionally, a great amount of information comes from Turkish surveillance of the consulate. This is significant because Turkey has a myriad of external reasons to heavily pursue this most recent case of Saudi Arabia’s infraction upon human rights. Saudi Arabia and Turkey, both Muslim-majority countries in the Middle East, have not had their shortage of tensions over the years. While Turkey has traditionally been a secular state, this has largely shifted under current President Recep Tayyip Erdogan. Erdogan has repeatedly attempted to lean more toward Sharia law, and his efforts to instate more and more conservative policies have not gone unnoticed by the rest of the world. Recently, the New York Times reported that “Mr. Erdogan remains close to the Muslim Brotherhood, which Saudi Arabia considers a national security threat and has branded as a terrorist organization. Turkey has also remained close to Qatar, another regional friend to the Brotherhood.” This has certainly resulted in some tensions with Saudi Arabia, as they consider themselves very strictly Muslim and is definitely ruled by Sharia law. Additionally, Turkey’s extreme interest in this particular case has underlying economic motivations. Erdogan likely sees this as his opportunity to help boost the Turkish economy, which has been in shambles as of recent. The Turkish lira is down almost 40 percent, and the recent transgression by Saudi Arabia leaves President Erdogan in the perfect position to ask Saudi Arabia for favors. It should also be noted that by championing justice for Khashoggi, Erdogan will be reinforcing his image around the world as a supporter of Islamic politics, as Khashoggi was also a known supporter during his lifetime. This will strengthen his pro-Islamic image both within his own state as well as on the global stage, which may open doors with deals and asking for aid from other Muslim-majority countries. All of these tactics are part of a larger scheme for Erdogan than simply championing the rights of a Saudi journalist. There is undeniably a whole host of reasons behind the Turkish government’s fervent quest for justice, and it does not stop with simply being concerned about a non-national being murdered on Turkish grounds. From the perspective of international human rights law, Khashoggi’s murder is certainly a blatant violation of the International Covenant on Civil and Political Rights. Specifically, the Saudi government has violated the Right to Life clause, which asserts in Article 6 that “Every human being has the inherent right to life. This right shall be protected by law. No one shall be arbitrarily deprived of his life.” This is significant because it may technically allow for direct prosecution of MBS, although highly unlikely due to certain members’ involvement on the Security Council. However, it should be noted that there is certainly a transgression in this case. Although it is highly unlikely that this case will be tried at the international level, there could potentially be legal action and societal pressure coming Saudi Arabia’s way from the rest of the world. As the United States is historically the standard police force for human rights and Turkey is especially privy to calling on the US for favors due to US military bases in the country, the US could technically invoke the Global Magnitsky Human Rights and Accountability Act, which President Obama signed into force while he was in office. This is incredibly significant because it provides an alternative, more viable channel for the rest of the world to hold politicians in Saudi Arabia accountable for their actions, given that the US and the rest of the world can thoroughly prove beyond a reasonable doubt that Khashoggi was indeed murdered per the orders of the Saudi Arabian government. Under the Magnitsky Act, Trump has already delegated authority to the treasury secretary to impose economic sanctions amongst other bans on twenty people at the recommendation of Senators Cardin and McCain. Other countries such as those in the EU and Canada also have legislation in place to impose sanctions on other countries. If Western countries truly want to take a stand for human rights as well as freedom of speech liberties, it is entirely possible to ban together and impose sanctions on Saudi Arabia with lasting consequences. 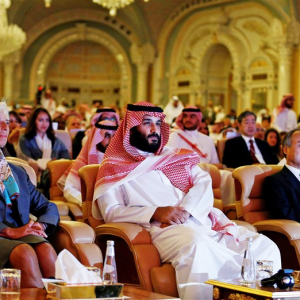 conference, which took place in Riyadh, Saudi Arabia in 2018, turned into a fiasco after a significant number of companies and countries around the world pulled out of the conference at the last minute. The companies’ pull-out certainly reflects directly on Saudi Arabia’s image, as they are obviously disassociating in order to similarly disassociate from the assassination. Overall, Saudi Arabia potentially stands to lose a great deal on the international front, whether that be in reputation, economy, or political leverage due to Khashoggi’s assassination and the repeated denial from MBS. It may serve Saudi Arabia best to come forward in some way and attempt to make amends, rather than continue this charade that has obviously been debunked by both world leaders and the general public at this point in the narrative. Why would an outspoken critic of the regime enter the “mouth of the lion” . His criticism was about acts of this very nature. When does anything in an embassy take 4 hours. Something is fishy all the way around.